the medicinal industries. 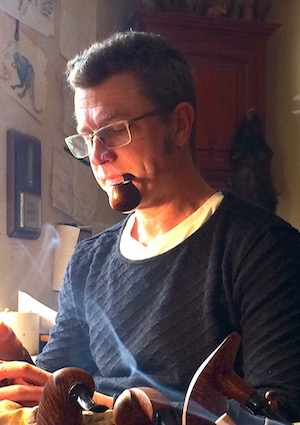 As pipe maker and art craftsman he finds inspiration from the nature surrounding him. The pipes from Peters workshop are 100% handmade from high grade materials and he is dedicated that all pipes leaving his hand are unique pieces of functional art. Peter produce 150 pipes a year.